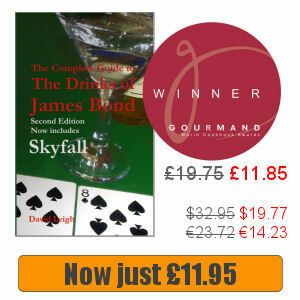 Uniquely among the James Bond novels, the action of Moonraker takes place exclusively in Britain. 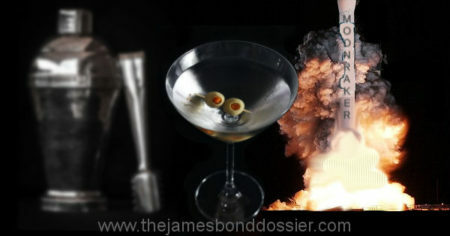 At the beginning of Moonraker, M invites Bond to Blades, his private club. As the best card player in the service Bond is asked by his chief to help sort out a problem with another member in a personal capacity. Sir Hugo Drax is a public hero thanks to him personally funding the “Moonraker” rocket project. But lately he’s been winning far too often at bridge and is suspected of cheating. M asks Bond to find out how Drax is doing it and warn him off. That way neither Blades nor Drax are involved in the public scandal that would result from going public. The morning after dealing Drax a taste of his own medicine, Bond learns from M of a an overnight incident at the Moonraker site. 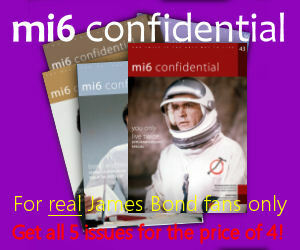 M sends Bond to investigate. The Moonraker site is located three miles north of Dover in Kent. That places it near St Margaret’s Bay, where Fleming owned a weekend retreat. During the course of the investigation Bond returns to London and after eating at his favourite restaurant, follows Drax from Blades. From Park Street (Fleming messed up here, it should be Park Place), Bond follows Drax’s Mercedes in his Bentley, along St James’s Street, The Mall, Buckingham Palace Gate (should be Buckingham Gate) and Lower Grosvenor Place to Drax’s London residence in Ebury Street. In fact Fleming had lived at 22B Ebury Street for a few years from 1934 after buying out a five-year lease on the small flat from the leader of the British Union of Fascists, Sir Oswald Mosley. The chase then continues across Chelsea Bridge to south of the river and Clapham Common, the South Circular and finally the A20 to Dover, the road on which Bond loses his beloved Bentley.